I love the shape of Panama. Up close on a map it looks like an ethereal small animal sketched on the ocean. From afar it looks like a fragile bridge that could snap and send floating the two big continents that it’s co-holding together. Yet Panama is anything but fragile. The history of the Panama Canal speaks to a strong and patient piece of land that comfortably holds contrasts like Panama City – The Dubai of Central America – alongside the quaint and sleepy surfing village of Pedisa. Crossing over from the Atlantic to the Pacific is less than a day’s drive but the extent of different landscapes and weather conditions you encounter is far greater than your estimation will conceive without experiencing it. Panama is truly extraordinary. Top-notch wifi is a given in this country that chooses the US Dollar as it’s currency. I found it a pleasure to continue working and coaching via Skype whilst traversing from a fancy apartment in the city to a laid-back bungalow at the beach. Panama also becomes the first place I have experienced being robbed in all my recent travels through South and Central America – right in the Caribbean Paradise of Bocas Del Toro. But in gentle Panamanian-style, I consider it most generous of the thief that he/she only had eyes for my cash and left everything else intact. That contrast and complexity of being ‘kindly-robbed’ and holding anger and delight simultaneously is interesting, isn’t it? 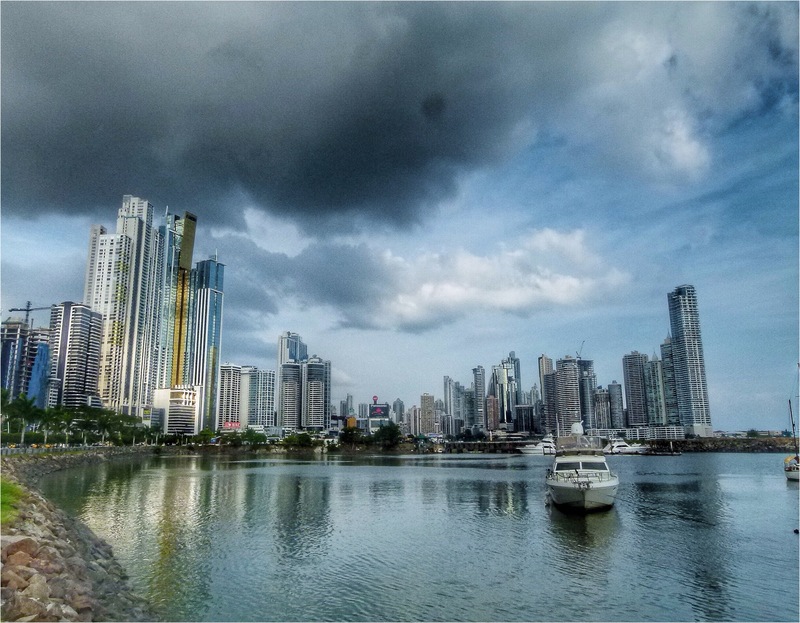 Panama echoes these contrasts of complexity: Someone in Panama stole my money and Panama stole my heart. To see more of my pictures and adventures of being a Portable Professional in Panama, Central America, please visit my Best of Panama album on Flickr. Just love this journey to Panama City! Beautiful pics and writing, Michelle. I especially love the words ‘kindly-robbed’… makes one think of how often that can happen without one realising it. How exciting Gordon – I can’t wait to see your pics and hear your stories once you’re visited! Enjoy.